I used this software when I worked as an Innkeeper in Boulder, Colorado. I found the service well- organized and user friendly. I was able to pick it up pretty quickly. The interface is not the most beautiful of designs but it gets the job done. Very user friendly and helps to broaden your customer base. It was important to have ease of use when placing reservations while on the phone. Also, the ability for online bookings to book automatically was extremely helpful, seeing as we cannot have someone to take phone calls for reservations at all hours. This opens our accessibility to international visitors. "Easy booking for hotels and inns!" I like that I am able to see a weekly layout and that I can see all the rooms available at one time. Occasionally the system is too slow. I would also like to see an option to connect to SquareSpace for payment. RezOvation makes it easier to see what rooms are available/what rooms are booked. We are able to input all relevant guest information, and it can be saved for the future. Georgie Scheduler is a free responsive online scheduling system with optional integrated billing designed for massage businesses. Outbound Software's ORS will consolidate your online, phone & on-site customer reservations. Clients include Zoos, Museums , Aquariums & more! 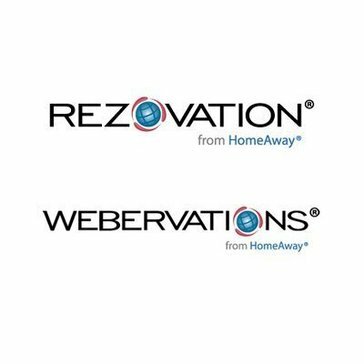 * We monitor all RezOvation Web reviews to prevent fraudulent reviews and keep review quality high. We do not post reviews by company employees or direct competitors. Validated reviews require the user to submit a screenshot of the product containing their user ID, in order to verify a user is an actual user of the product. Hi there! Are you looking to implement a solution like RezOvation Web?